I've been listing to the excellent tech gadget podcast gdgt for sometime now and they have just launched the corresponding site last week. 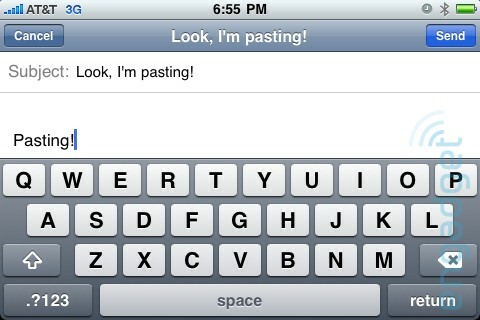 Why don't you follow me on gdgt? I’m running out of room! N-e-who, you could sign up for a sticker and guess what came today in the mail, strait from New York city! 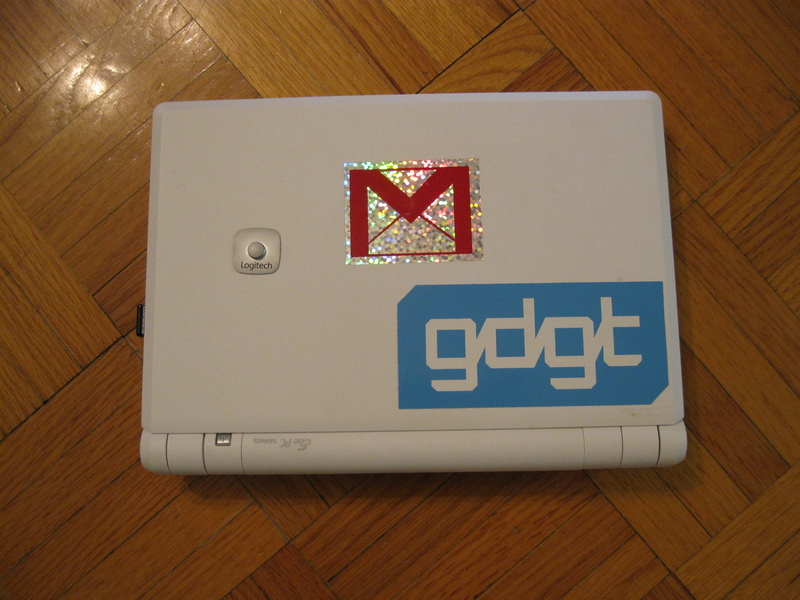 The downside to netbooks is that there isn't that much room for stickers. I was greatly surprised that I could even get a sticker. 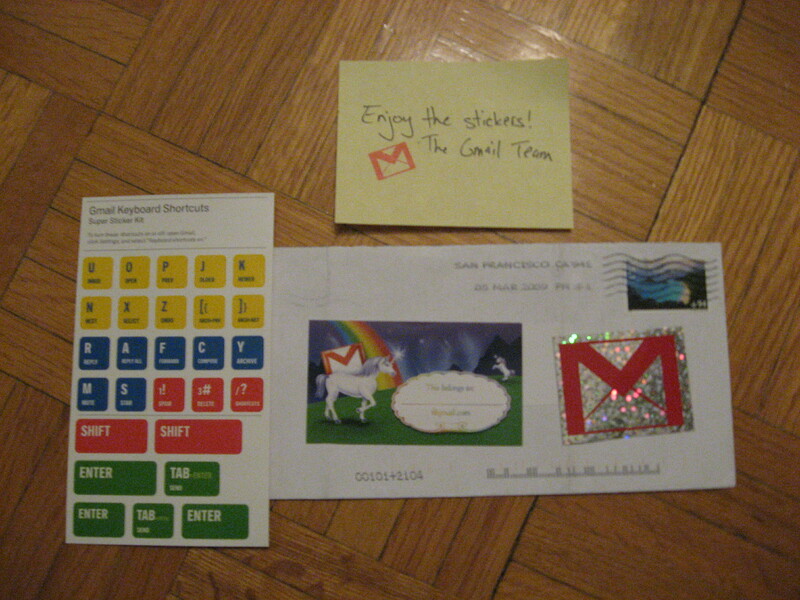 When I got the GMail stickers I had to send a money order to cover the postage, which in retrospect seems weird since Google makes billions of dollars a year. Earth Day is April 22nd and BestBuy has a tie-in promotion that might save you some money. You can get a rebate on certain consumer electronics if you bring in a corresponding old gadget (in working order). Get money off on a Blu-Ray player when you bring in a DVD or VHS player. The savings are not stellar but it might cover the taxes. 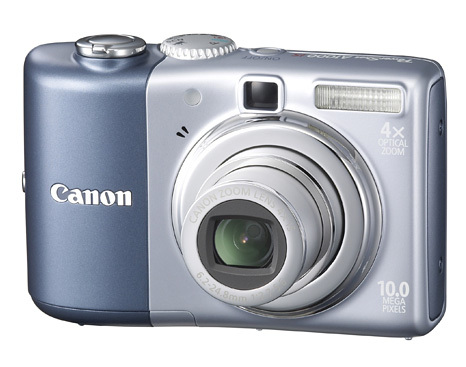 I took advantage of the Earth Day promotion and bought a Canon A1000IS to replace my beloved intermittent failure Canon A550 Powershot. Not much has changed between my old A550 and the new A1000IS, think evolution not revolution. With just a weekend's use there are some features that I already like. Eye candy like cross dissolves between photos in preview mode. A face detect feature that will follow your subjects face. Tells you what megapixel the photos sizes are in the menu. It will take me some time getting used to the buttons as they are flush with the camera body as opposed to being raised as the A550. And it's just so small. 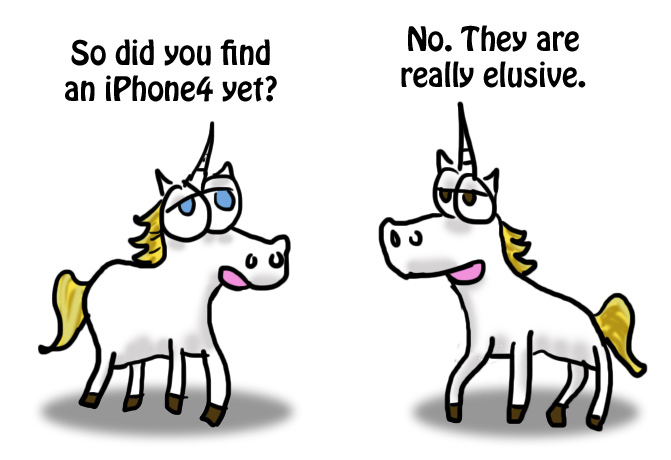 Over all this promotion is a good incentive to get people more responsible with their e-waste all be it with a carrot. BestBuy and FutureShop have been recycling old and broken consumer electronics for years. If they only promoted this year round and not just around Earth Day to cash in on going green. The cynic in my can't help but think that this may contribute to e-waste as people will cycle out their products before end of life. When these products die or are replaced will people recycle them properly? If you want to recycle your gadgets check out the Consumer Electronics Association's site My Green Electronics for a list of recyclers near you and Earth Day tips how to be green all year long. Due to mailing my self addressed envelop so close to the deadline and the usual while supplies last line, I was worried that I might have missed out on getting some GMail stickers. So I'm really happy they arrived. Also having to get a $4 international reply coupon these free stickers started to get expensive. As you can see I got the unicorn sticker (of course). 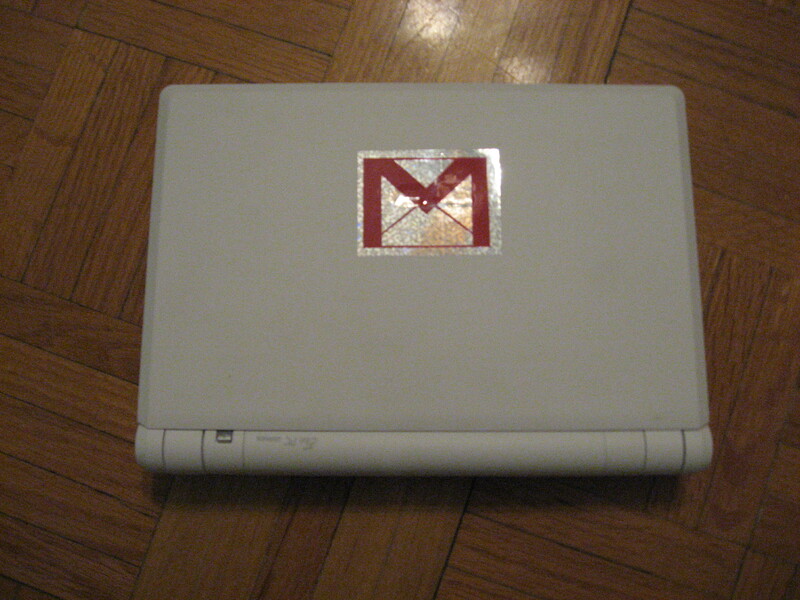 Having got EEEBuntu running on my EEE PC (more to come on that) I had to put the GMail logo on the lid. 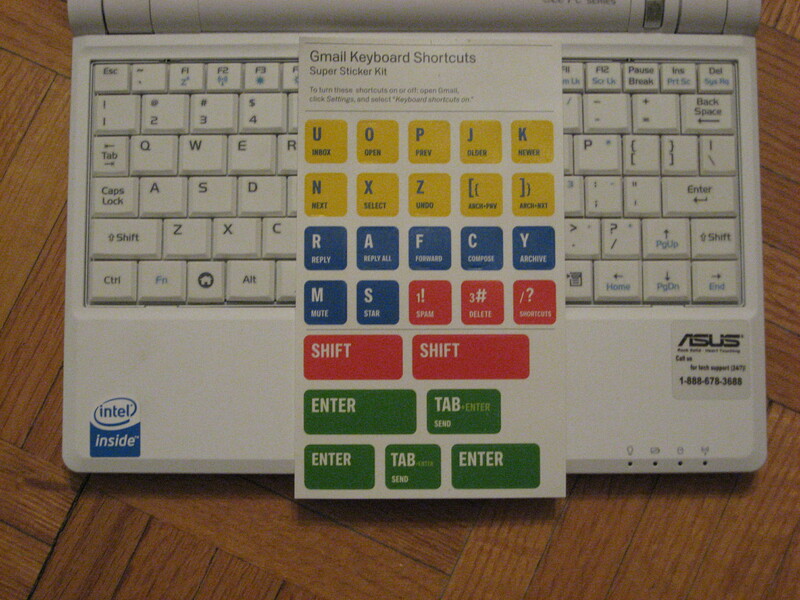 I had every intention to put on the GMail keyboard shortcut stickers but unfortunately they don't come in netbook size. Thanks GMail for the stickers. Now I'll have to get some more stickers for my EEE PC. I noticed an error at Bestbuy during my latest visit regarding their Mid-Winter flyer. 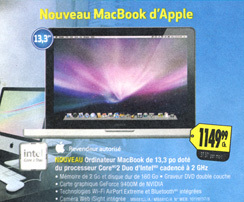 In the print add they advertised the new MacBook at the incredible price of $1149.99 (usually $1399.99). You know it's the new MacBook since it says 160GB. Yet in store it's the refresh of the old MacBook design for sale. This doesn't affect me since I just don't have the money to buy a MacBook (new or old). I did find it an interesting mistake on BestBuy's part. I wonder how many people thought that they were going to get a deal besides that couple yesterday afternoon? 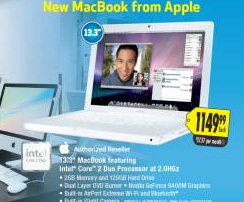 Were they able to get the sale price on the new MacBook? But you can save 99¢ if you buy the new MacBook directly from Apple. I uninstalled Chrome on one of the machines I use and had a laugh at the dialog box that appeared. Maybe they have a coder that has been dumped too many times. Either way Chrome you might come across as being needy or trying to hard. Just try being yourself you'll find someone special. It's not you Chrome, it's me. In 2004 TechTV was bought by Comcast and within six months we saw a great technology network retooled for the Jackass generation. Those of us wanting more followed former TechTV talent to TWIT & Rervision3 to name a few. 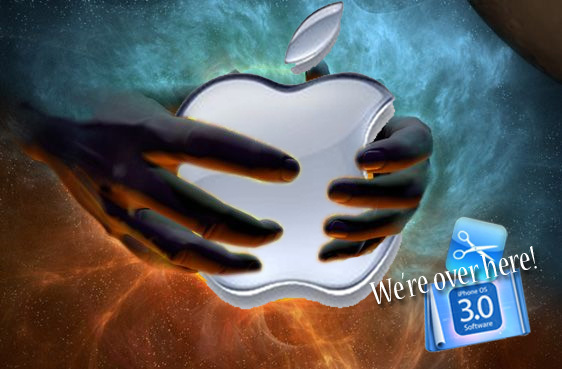 One such destination has been CNET. They produce more original content than most networks, let alone technology content. 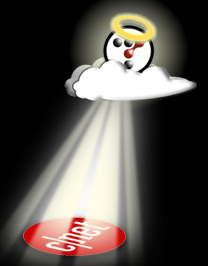 Just check out CNet TV and you'll that CNet is a top of the line technology resource. When CBS acquired CNET earlier this year, it finally seemed as the major networks had taken notice of the importance of top tier technology reporting. 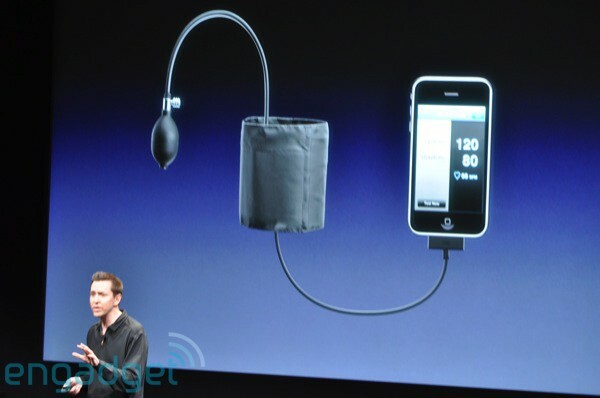 Unlike what they usually pass off as tech segments. But six months later, CBS Interactive (in which CNet is included) is laying off almost 300 employees and probably safe to say there will be more down the road. One can not help but think that this might be to the detriment of CNet. I hope we do not see history repeat itself. Canadian company Element Four has developed the Watermill that condenses fresh clean drinking water out of thin air; too bad it costs $1,200. 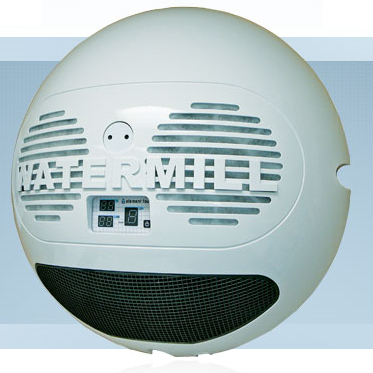 Even thought they have strayed from the tried and true traditional design of moisture vaporators, the Watermill could literately be a life saver for people in remote locations cut off from fresh water or the water cooler of tomorrows kitchen. Just to be on the safe side you better add this to your emergency disaster kit. 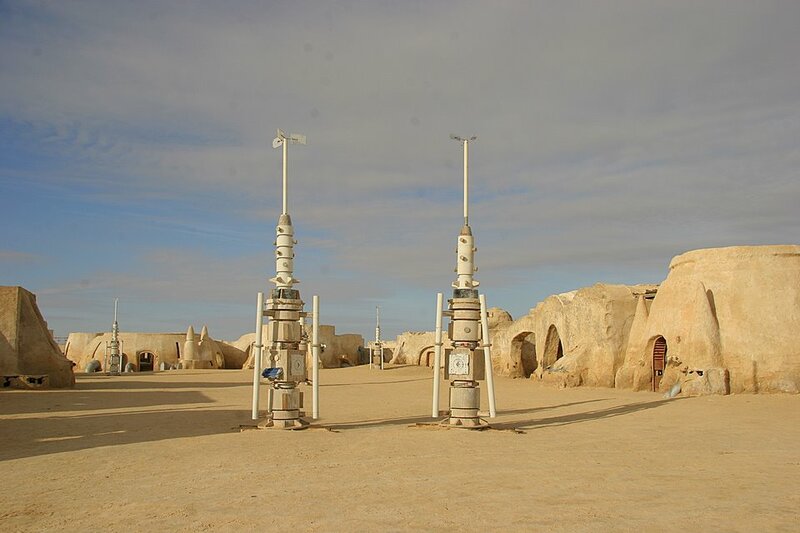 When the Watermill takes off it will really be a boom to the droid resale market since what we'll all really need is a droid that understands the binary language of moisture vaporators.